The euro resumed its downfall against the dollar, breaching the $1.36 mark to reach a new recent low of $1.3590, a 45 point drop for the day. The main culprit was an unexpected increase in German unemployment, although this was coupled with a fall in Eurozone lending. 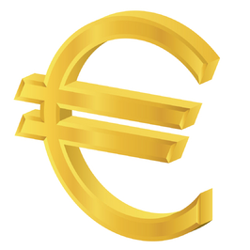 The figures saw increased speculation among forex traders that the ECB will introduce new stimulus measures in June. Considering the success of Euroskeptic parties in the weekend's European Parliamentary elections, the shared currency has proven to be rather resilient so far. The EUR/USD pair dropped just 10 points to $1.3635 as investors continued to speculate about the scale of a possible ECB intervention to stop the risk of deflation. The recent weakness in the euro was preceded by news that European Central Bank President Mario Draghi had signalled his readiness to ease monetary policy in June. However, yesterday the shared currency posted a slight rebound against the dollar, gaining 21 points to close at $1.3645.